Cabinets: Mesa Rectifier Horizontal 2×12 [Celestion V30/WGS Veteran 30], Mesa Stiletto 2×12 [Celestion V-type/Celestion V30], David Laboga 2×12 [Celestion Greenback/Celestion V30], David Laboga 2×12 [Celestion Greenback/Jensen], David Laboga 1×12 [Celestion V30], Buzzaro Custom 2×12 [Celestion G12EVH/Celestion V30], Laboga OS 2×12 [Celestion A-Type/Celestion V30], Bogner OS 2×12 [Celestion G12T-75/Celestion V30], Marshall MF400 [Celestion V-Type/Celestion K100], Harley Benton 2×12 [Celestion Creamback/Celestion V30], Hesu Custom 2×12 [Hesu Demon Speakers]. Reamping is a process often used in multitrack recording in which a recorded signal is routed back out of the editing environment and run through external processing or reverb chamber. Originally, the technique was used mostly for guitars: it facilitates a separation of guitar playing from guitar amplifier processing—a previously recorded audio program is played back and re-recorded at a later time for the purpose of adding effects, ambience, or modified tonality. The technique has since evolved to include many other applications. Re-amping can also be applied to other instruments and program, such as recorded drums, synthesizers, and virtual instruments. Examples of common re-amping objectives include musically useful amplifier distortion, room tone, compression, EQ/filters, envelopes, resonance, and gating. Re-amping is often used to “warm up” dry tracks, which often means adding complex, musically interesting compression, distortion, filtering, ambience, and other pleasing effects. By playing a dry signal through a studio’s main monitors and then using room mics to capture the ambience, engineers are able to create realistic reverbs and blend the wet signal with the original dry recording to achieve the desired amount of depth. The technique is especially useful for softening stereo drum tracks. By pointing the monitors away from each other and miking each speaker individually, the stereo image can be well preserved and a new depth can be added to the track. It is important to check that the microphones being used are in phase to avoid problems with the mix. The most obvious advantage to the reamping technique is that it gives a musician access to amps they couldn’t have afforded otherwise. 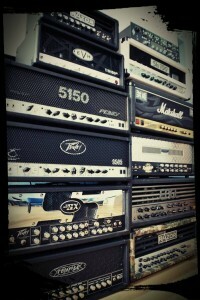 It also places the duty of recording said amps into the experienced hands of yours truly. 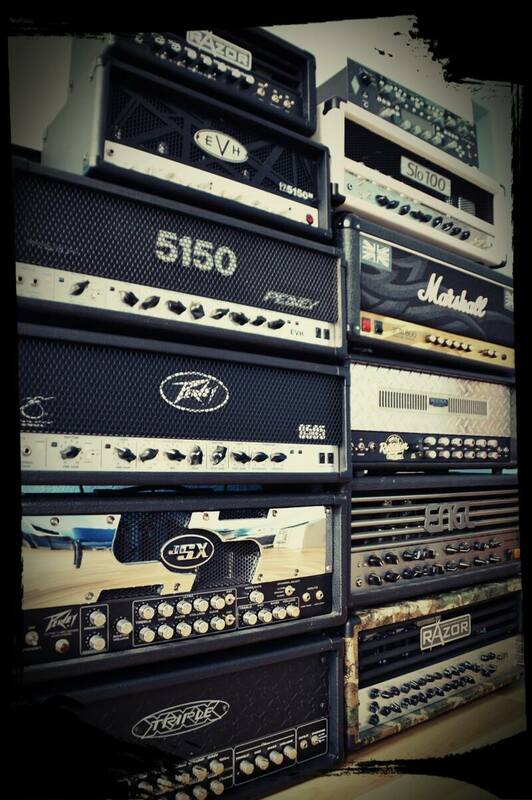 Do You need killer guitars sound? Contact With Me!